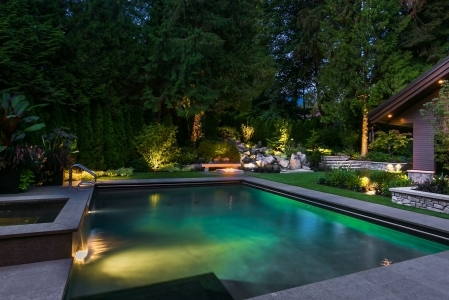 Quality, luxury gated, estate home located in the heart of West Van's sought after Cedardale area. Designed by a renowned Vancouver architect, this residence is situated in its private Shangri-La with private lagoon and professionally landscaped by landscape architect John Minty. 5 bedroom rest on over 5350 sq.ft. on 2 levels. The contemporary and spacious design integrates with cutting edge tech with special garden views from principal rooms. 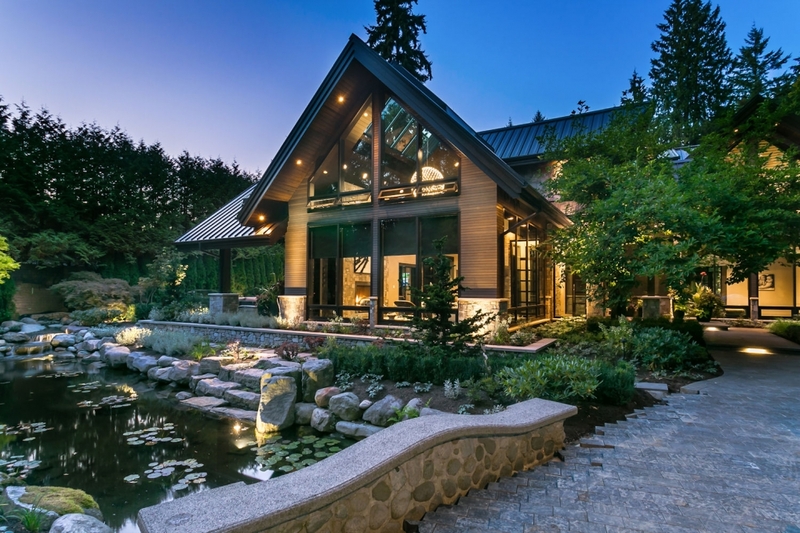 Basalt floors, stonework, mill work, high ceilings, and wall to wall floor to ceiling windows. Hot water radiant heat, air conditioning ,steel roof, security, lighting and music system by LUTRON & PURE IMAGE. Living/Dining rooms connect to outdoor heated lounge with outdoor fireplace. Stunning kitchen with top grade appliances. Resort style pool/spa, fire pit, built in BBQ. Large Master Bedroom with walk in dressing room. Exquisite beyond belief.